Let us help your team, enhance their image. The Kimmel Corporation Corporate Apparel Team, offers complete uniform and coordinated team workwear programs for companies who prefer to buy their garments rather than renting and servicing them each week. Invest in style and image, invest in success. 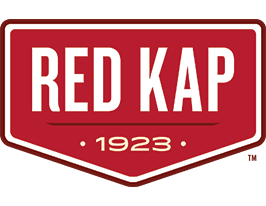 We carry top name brands including Nike, Sport-Tec, and Eddie Bauer to complement workwear brands of Red Kap, Dickies, and Bulwark FR to name a few. Dress your team from our broad selection of customizable clothing for work, office staff, and other special needs environments including high visibility and FR. Feel free to browse through our catalogs for the latest options including fleeces, jackets, t-shirts, polo’s, and work pants. If you would like to add a logo or custom name badge to your business uniforms, just attach a sample of the art work to our handy corporate apparel contact form below. Attach your current business identity files, logo, etc. below. You can send us pictures of your current shirts or workwear you would like.